About thirty miles north of San Francisco lies the town of Bolinas, but you wouldn't know it, due to the lack of road signs. 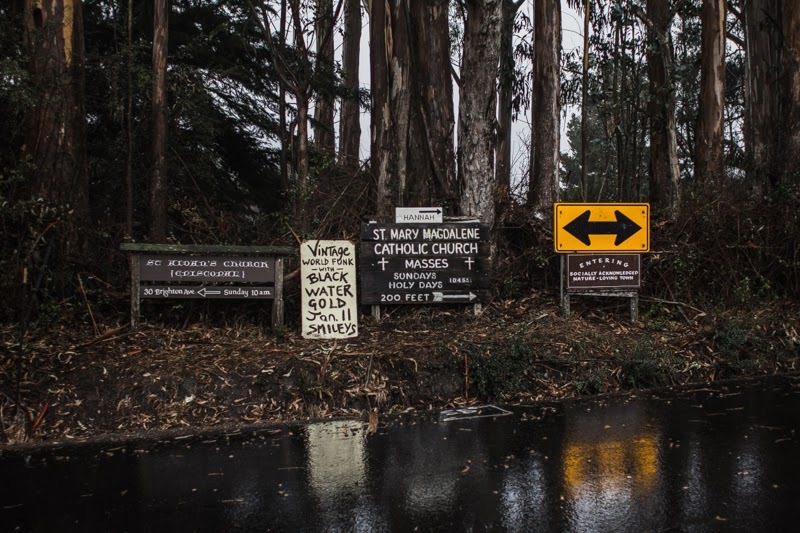 The people of Bolinas removed the signs trying to prevent visitors. If you can find your way through the unmarked roads, you'll see why the locals wanted to hide this little gem from the crowds of San Francisco. James and I made a trip to Bolinas to visit the Palomarin trail, which goes to Alamere Falls. The drive alone is worth it. The scenic HWY 1 along the California coast is one of America's most beautiful roads, but also incredibly dangerous. The road just barely hugs the cliff, which quickly dives into icy waters. There is nothing between your car and the cliffs edge, and the fog obscures the turns ahead. It is one of the few local roads I need to take Dramamine for, unless I want to be sick upon arrival. The Palomarin trial is gorgeous, and well worth the 7.5 mile hike. 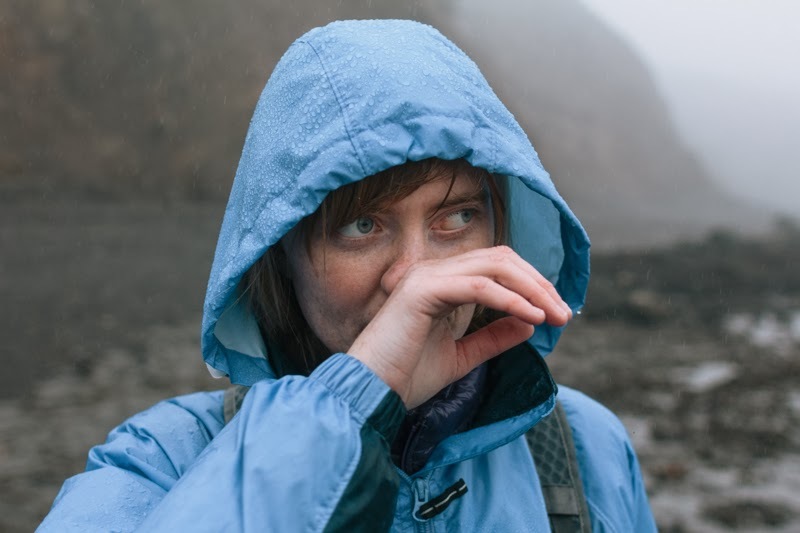 However, when time is limited or the weather is unremitting, there is a smaller unmarked trail that diverges left from the Palomarin trailhead, leading to the ocean. While we were there, the fog turned into rain. Despite our gear, we were both soaked through by the time we reached the ocean, but it didn't matter. The cold wet air only added to the scenery. There was one other person, a surfer, way out in the waters before us. There's no sand on this beach, just piles upon piles of slippery rocks and drift wood. Driving back from the hike, with half our soaking clothes hanging in the back of my jeep, we stopped at a local farm stand. Along the street we saw some of the towns elusive hand made signs for local companies and churches. There was also an old boat turned into a kitchen with "eat local" painted on the side. 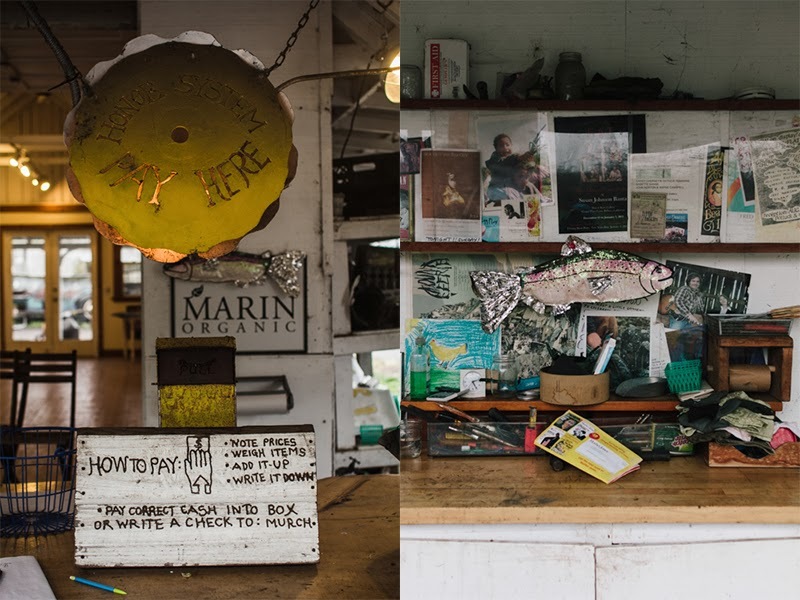 The farm stand itself embodied the people of Bolinas. 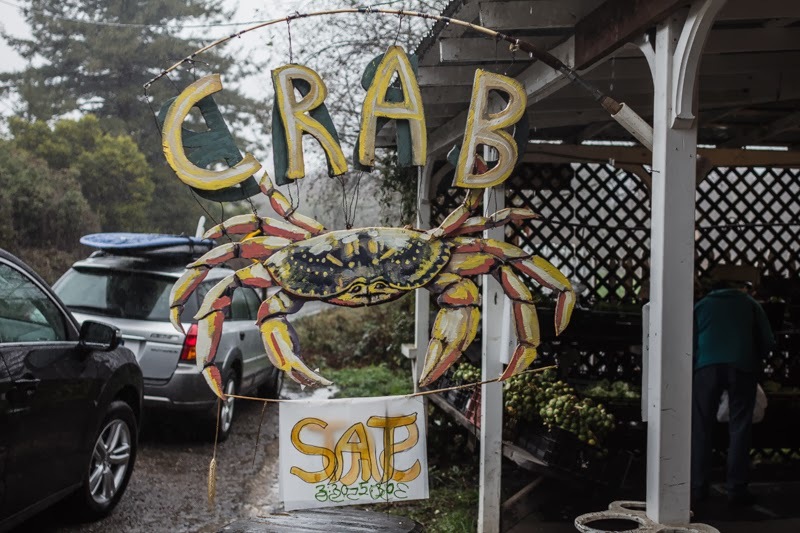 The first thing that caught my eye was a handmade 'crab for sale' sign, full of bright yellows and oranges, and hung by a fishing pole. 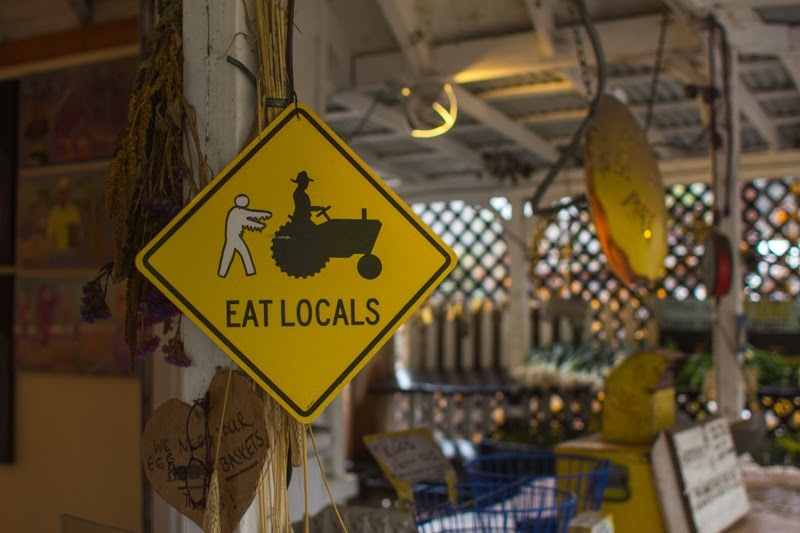 Next there was a twist on the traditional eat local sign, "eat locals", with a zombie chasing a farmer on a tractor. 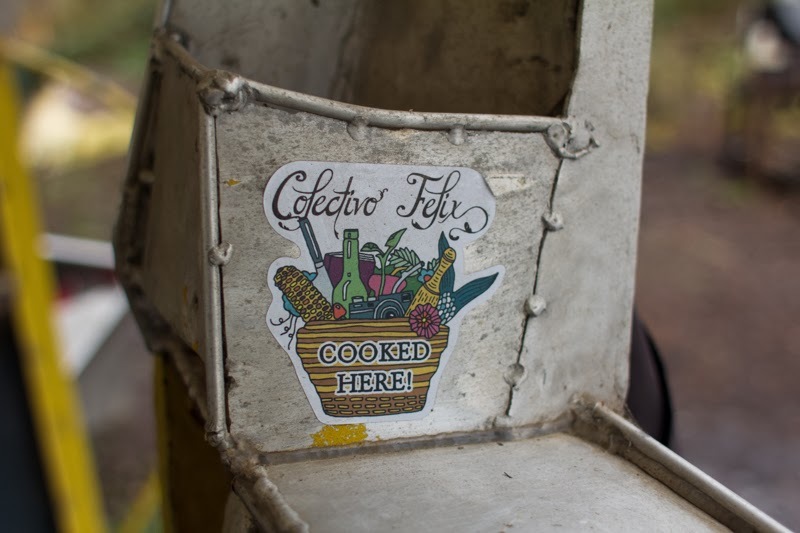 Here the people incorporate the land into there lives, with everything from local produce to art using nature or recyclables. I like to think the locals are open-minded and see the world for what it is, not just the ideal life they have created for themselves. However, the part that stood out to me the most was the method of payment, which was based on the honor system. Fresh produce in boxes was labeled with cardboard signs stating the name of the item and price. After you have collected everything you want, tally up your items in the notebook provided, and put cash or checks written to Murch in the yellow tin box. Bolinas is a tight-knit community. 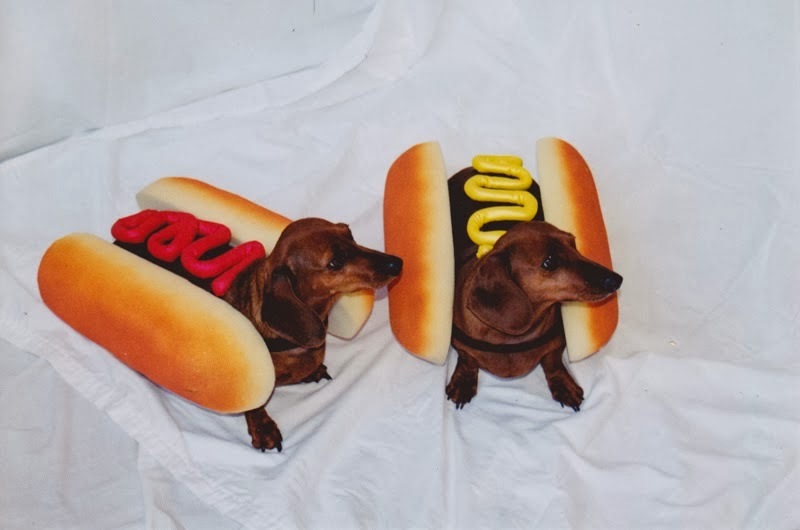 They may keep to themselves, but they have found peace. Despite the idealized life lived here in Bolinas, bad things still happen. In 2008, there was a stabbing of a passing vagabond by local minors that shook not only their tight-knit community, but the whole San Francisco Bay. We are used to hearing about stabbings or shootings in Marin City or Oakland, but not Bolinas. Bolinas was supposed to be a place of peace. Bolinas was our little secret utopia. The events made me realize that Bolinas is not peaceful because it is full of perfect people. Instead peace is brought forth from the faith and trust the locals have in their community. The trust seen in Bolinas is slowly working its way into other aspects of society. I think people want the opportunity to be trusted, and will thank those who give it to them. For example, Panera Bread has opened several Panera Cares Cafes around America, which also operate on the honor system. They have been able to not only operate, but make a profit. Five years ago, I would never have thought that this kind of trust had a place in corporate America. 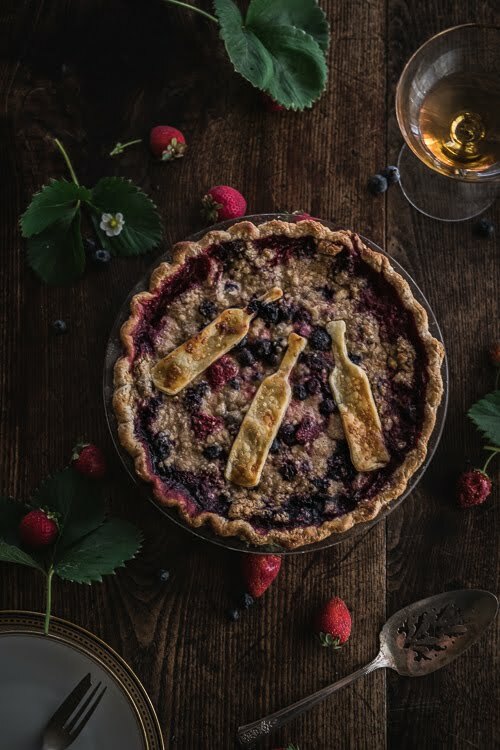 Bolinas is a place to visit to reconnect with nature and humanity. 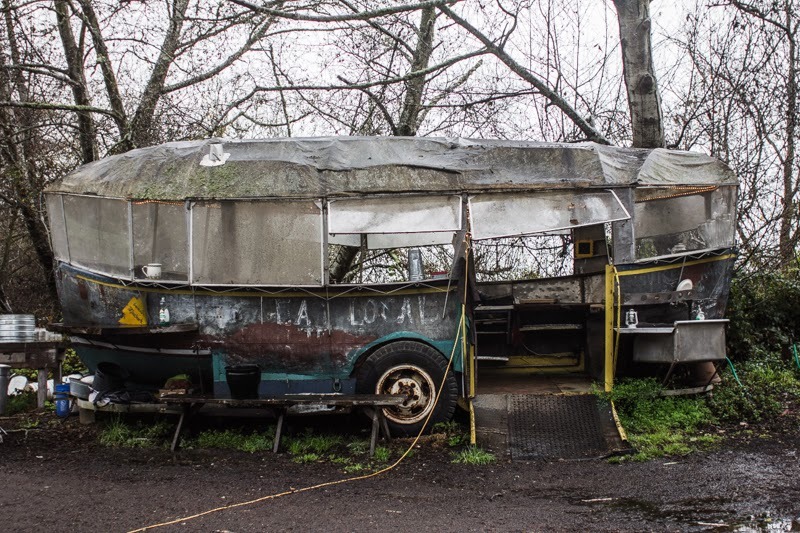 This is wonderful, your photos really capture the personality of Bolinas. Thank you! It's one of the few areas in the bay area that is still foggy and rainy during this drought.